We’re still in the first week of January, but we’re already seeing people talk about what the 2019 iPhone will look like when it is unveiled in September. That’s a long way away, and making any concrete assumptions right now is surely a fool’s errand, but that isn’t stopping notorious leaker OnLeaks from doing exactly that. The normally accurate source of leaks has partnered with Digit.in to create some new renders of what he believes are 2019 iPhone prototypes. If these images are indeed anything close to what the next iPhone will look like, we’re in for something that will absolutely split the iPhone user-base. OnLeaks says that the renders are based on current EVT hardware, or “engineering validation test,” which means there is really no guarantee that anything we see here will turn into a product. Looking at the images, we’re not sure whether we’re fans of them or not! The first thing you will immediately notice is the camera area and the fact that it has grown significantly to accommodate an extra lens. That results in a square camera bump made up of the three lenses and an LED flash. That’s a configuration we’ve seen on Huawei phones of late, making the design appear less outlandish than it would to anyone unfamiliar with current goings-on in the Android world. We are, of course, too far out to really have any knowledge of what the 2019 iPhone will really look like, but it’s interesting to see people putting their names to renders at this stage. 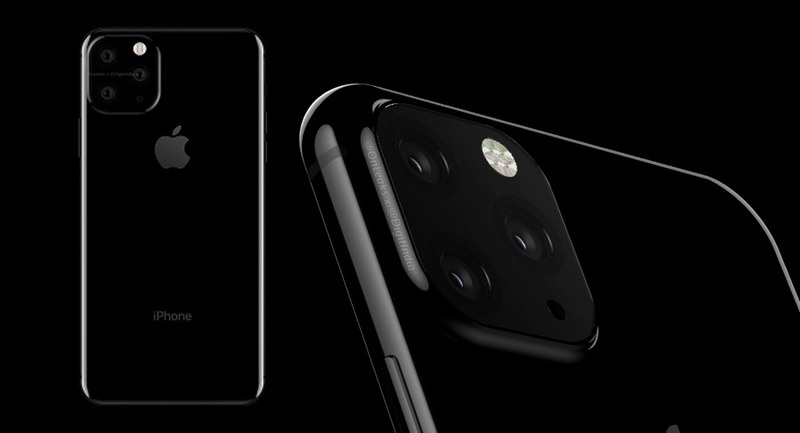 Apple adding an extra lens to the rear of its next iPhone is not beyond the realms of possibility at all, so we’ll hang fire for now and see what the coming months have in store before making any judgments ourselves. camera,bionic chip (next will be alien chip),speed nothing else……. This is the tock cycle so there will be improvements. The XS was tock so not much new except minor upgrades Standard procedure. Apple should focus on making an iPhone that the battery will last a full 24 hours while on use, all these insanely rip off high price tags on iPhone that their battery life doesn’t last more than 15 hours on use is madness. All my iPhones have lasted 2-3 days and that’s with heavy use.